When you’re an undercover police officer, you’re probably putting yourself under a considerable amount of risk. 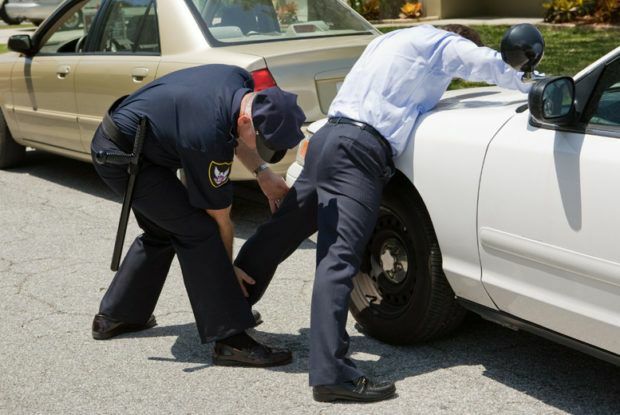 Some might say that this just comes with the territory, that risking your safety is ultimately part of being a police officer of any stripe, undercover or otherwise. Of course, when one takes an undercover assignment, one must assume that things outside one’s control are going to happen from time to time. 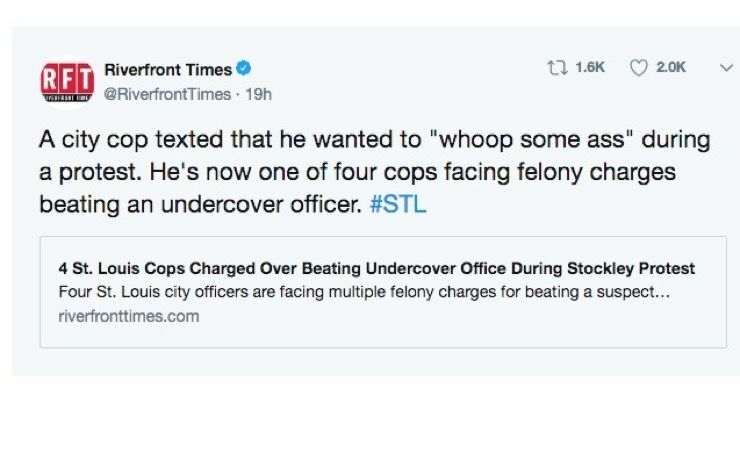 Four St. Louis police officers have recently been indicted on federal charges in connection with the assault of an undercover officer during a recent protest that ended in 140 arrests. 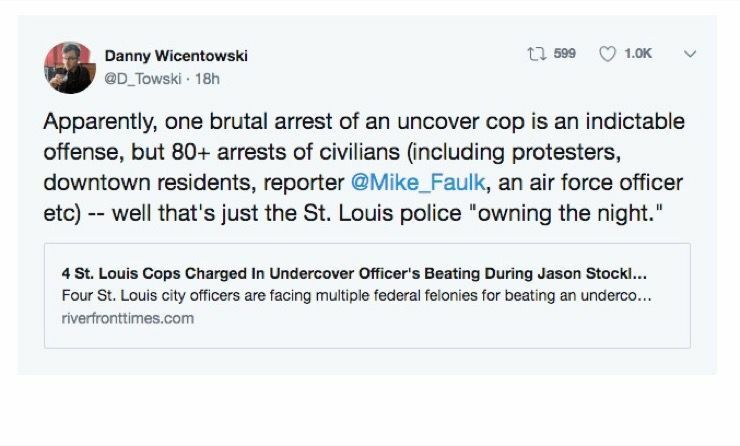 The protests erupted after the Jason Stockley court ruling in 2017. 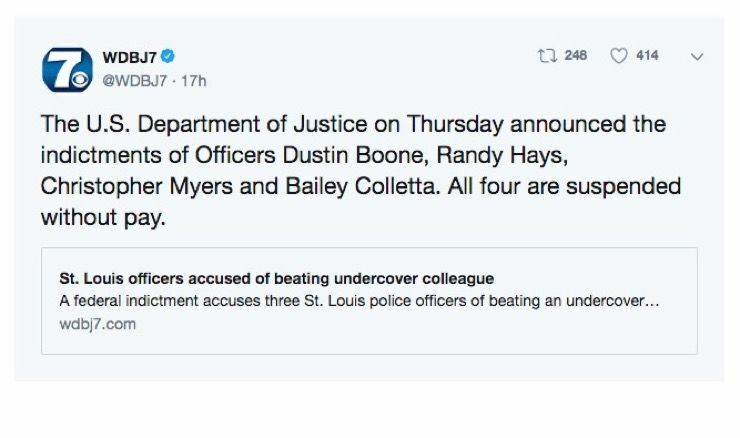 The four officers, Dustin Boone, Bailey Colletta, Randy Hays, and Christopher Myers, have all since been suspended without pay. 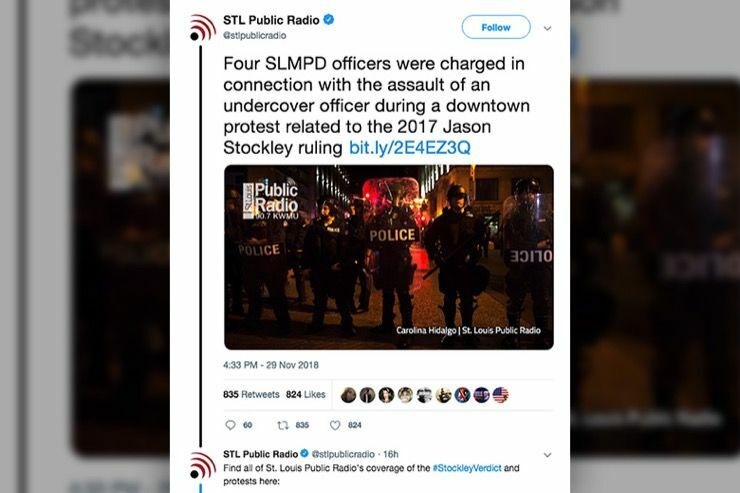 That night, the four officers and many others, used a much-debated tactic called “kettling” to surround the protesters, livestreamers, journalists, and the undercover officer. The four had been tasked with controlling the crowd as needed but ended up using, as undercover office L.H. put it, “unreasonable force” that resulted in injury to the undercover policeman of 22 years. Not to mention the injuries they did to other folks. Public safety director Jimmie Edwards lauded the police department for their efforts but admitted that there have been instances in recent years where some officers have “fallen short of the professionalism required to work in our police department.” He added that accountability and transparency are both exceptionally important in these troubled times and that officers working outside the scope of their authority should be held accountable.